Cawarden are the largest stockholders of reclaimed bricks in the country with over 1 million bricks held on site at any one time. We source our bricks from demolished buildings and stock them for new building projects that require reclaimed bricks. By supplying reclaimed bricks, we promote renewable resources, giving our customers the opportunity to reduce their carbon footprint whilst building their project. 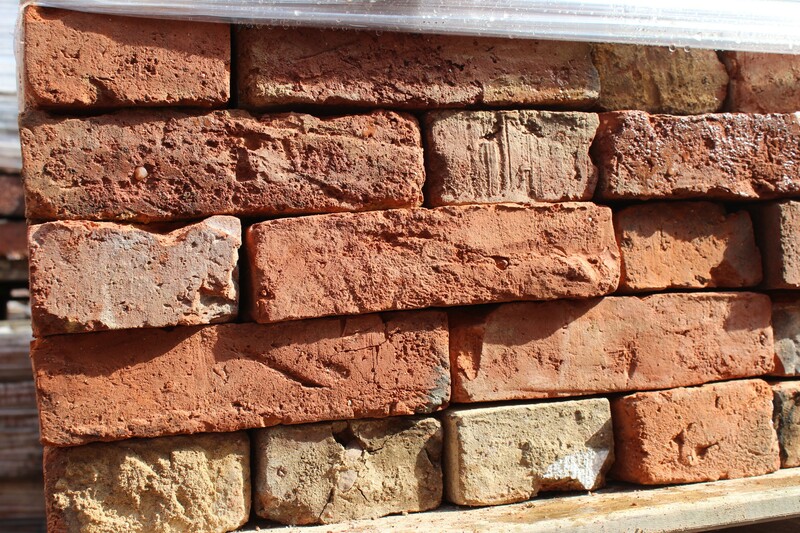 Our stocks are ever changing and we offer an eclectic brick range with many colours and sizes to suit, from Derby Pressed Bricks to Red/Orange Handmade Reclaimed Bricks. We even offer paving bricks - perfect for driveways, patios or a garden path. Whether you're looking for 100 bricks to build a barbecue, or 500,000 for a housing development, our friendly, knowledgeable staff are here to help. If your requirement is not shown please contact us directly, either by using the contact form on our Contact page or phoning us on 01889 574066. Our prices range from 35 pence per brick.